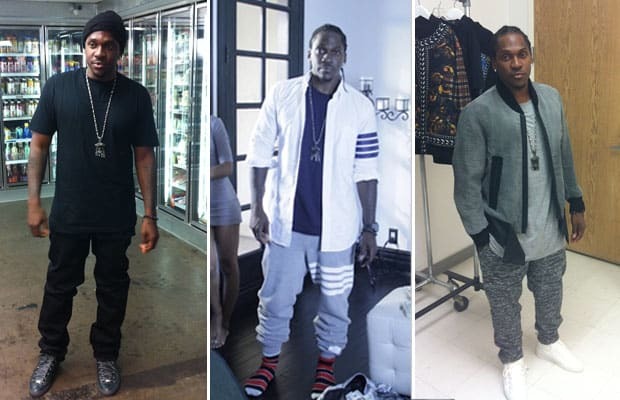 Pusha deserves an award for "most improved style of 2011." Despite running the Play Cloths label, the Virginia rapper has upped his taste level, likely due to influence from friends like Kanye West. Pusha put on some Givenchy and Neil Barrett gear, while his accessories got a boost from designers like Balenciaga. Riding high off the positive reviews of Fear of God II: Let Us Pray, and the 3rd anniversary of Play Cloths, he kept his street cred with a few extravagant pieces from Ben Baller (who brought us the 50 Greatest Chains in Hip-Hop): notably a Play Cloths chain and a diamond-encrusted set of keys.